There are multiple different military bases in Nevada, and Las Vegas in particular is home to many service personnel. Like anyone, servicemembers marry and divorce, argue over assets and child custody arrangements, and participate in all the other events that tend to accompany a separation. However, if you or your spouse (or both) are military servicemembers, getting a divorce is not entirely the same as it would be for civilians. It is critical to understand the differences, especially if you or your spouse are on active duty. Normally, in a civilian divorce, it is not possible to put off proceedings for more than a few days or months. Military servicemembers, however, have obligations which may complicate the process if their spouse files to initiate divorce proceedings, especially if they are on active duty or stationed overseas. In general, if one spouse files a complaint for divorce, and the other does not reply, the filing spouse may simply be granted a default judgment of divorce – meaning that the absent spouse effectively forfeits their right to marital property, support or the like. Because military personnel may not be in a position where they are able to adequately respond to a divorce filing or other judgment while performing military service, legislation was passed in the early 1940s to protect service members. The Servicemembers’ Civil Relief Act (SCRA), effectively grants the statutory authority to stay (delay) several types of actions if they are brought against active duty military personnel – this includes divorce proceedings. In short, any divorce action brought against an active duty member of the U.S. military may be stayed if the service member requests it and the request complies with the requirements of the SCRA. Another major question that can affect military divorces is the division of retirement accounts and military pensions. While civilian retirement accounts are generally divisible in state court, it took an act of Congress – the Uniformed Services’ Former Spouses’ Protection Act, or USFSPA – to extend that to requirement to military retirement pay. The USFSPA does permit division of military retirement accounts and pensions and also provides a method of enforcing state court orders on the subject via the Department of Defense. The Act may also be used to enforce a child support or alimony order, but it is most commonly used to compel division of military retirement benefits. Two important caveats to this must be kept in mind. The first is that an ex-spouse need not be married for ten years to be awarded a portion of the servicemember’s retirement pay. The other caveat is that while retirement pay is subject to division by civilian courts, any disability pay is not. Thus, your share may be less than you expect. Servicemembers have enough on their proverbial plates without divorce and property division issues intruding. 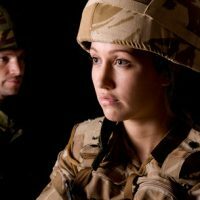 If you or your spouse has decided to move ahead with a military divorce, having a knowledgeable attorney on your side can make the process much smoother. The Las Vegas military divorce lawyers at the Kainen Law Group are ready, willing and able to assist with any questions or confusion you might have. Contact us today to set up an initial consultation.